October, 2017: Silence and the Unitive Experience by Christina Donnell, PhD., article published in Essential Wellness Magazine, Fall, 2017. October, 2017: The Organic Development of Nondual Awareness by Christina Donnell, PhD., article published in Subtle Energy Magazine, Volume 28, Issue 3. January, 2016 The Dreaming Bones by Christina Donnell, PhD., article published in Subtle Energy Magazine, Volume 26, Issue 3. Foreign language rights to the book Transcendent Dreaming have recently been sold to Russia, Brazil, and Germany. Indie Book Awards names Transcendent Dreaming the Winner of the 2009 Indie Book Award in the Spiritual Books Category. Transcendent Dreaming: Stepping Into Our Human Potential wins three new awards- Winner of the Reader Views Reviewers Choice Award 2009, First Runner-up, 2009 Eric Hoffer Award Self-Help/Spirituality category and Finalist, 2009 Montaigne Medal Award for most thought-provoking book of 2008. April 8th, 2009 (Wednesday) at 1:00pm Pacific Time: KKCR Radio, Good Vibrations Show with Tracy Schavone. 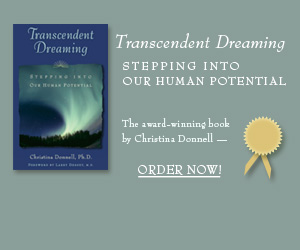 Interview with author Dr. Christina Donnell about her book, Transcendent Dreaming. February, 2009: Christina Donnell has a published article, A Radical Shift In Consciousness in the Journal Dream Network: Evolving a Dream Cherishing Culture Volume 27, Number 4. October, 2008: Transcendent Dreaming: Stepping Into Our Human Potential by Christina Donnell, PhD., wins the 2008 National Best Book Finalist Award. Edge Life Magazine, October 2008: A Radical Shift In Consciousness. An excerpt from Christina Donnell´s new book, Transcendent Dreaming: Stepping Into Our Human Potential. Shaman's Drum Issue 77: Christina Donnell, Ph.D.; Awakening into Transcendent Dreaming. 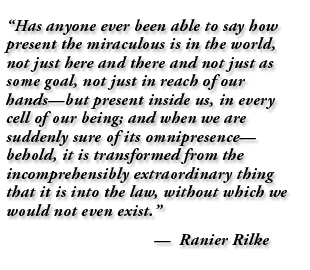 This article describes the author´s initiation into the shamanistic worlds of transpersonal dreamwork.